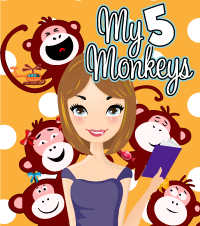 Midnyte Reader: Author Interview - Hunter Shea. Horror authors. There's nothing quite like them. I always find they have a jolly outlook on life and Hunter seems no different. I also found a kindred spirit in his love for Halloween. "There's nothing about October that doesn't elevate my soul." A beautiful, classic quote that sums it up for so many. 1. What is your writing process like? When I’m working on a novel or novella, I try to write every day. If I can get a couple of hours in each weekday and then cram about 8-10 hours on the weekend, I’m a happy (and not a dull) boy. I’m not big on spending weeks or months working on an outline. I do jot down ideas, snatches of dialogue and scenes and there’s always research, but mostly I let my mind do a lot of the prep work. I like the story to evolve as I’m writing. Every book I’ve ever written ends far differently than I thought it would. Characters die that I felt would be standing, plot twists flow from my fingers before my brain can catch up. It’s really quite amazing what your subconscious can do. It’s where all writers live. The key is to open the door so it can speak. 2. I know that authors don’t like to pick a favorite, but is there a book or story that you enjoyed writing the most? One that affected you the most? Or had an impact on you the most? That is a tough one. My first book, Forest of Shadows, took years to write and when I was done, I was shocked by how much of myself and my life was scattered throughout the manuscript. My wife and I had recently emerged from a very dark time and all of my fears and anxieties were there. The fact that Forest is the book that got me rescued from the enormous slush pile makes it a personal favorite. 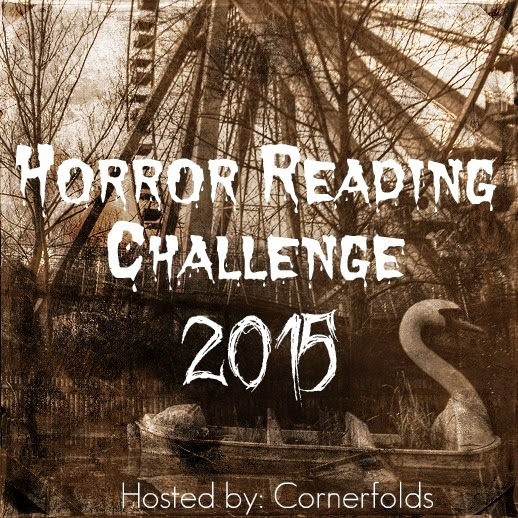 When it comes to having fun writing, my novella Swamp Monster Massacre takes the top spot. I’d always wanted to write a monster book, especially something about Bigfoot. And, I love books and movies where you have a gaggle of distinct characters, throw them in the abyss, and watch them get picked off one-by-one. I have to say, the words flowed non-stop and what would normally take me months only took weeks. 3. Have you seen a change in your writing or storytelling with each book you’ve written? I have noticed that my approach to each has been very, very different. From the subtle ghost story that focuses on characters (Forest of Shadows and next year’s Sinister Entity), to the visual and extreme of Evil Eternal and the action-packed, darkly comedic Swamp Monster Massacre. For me, the story dictates the style. 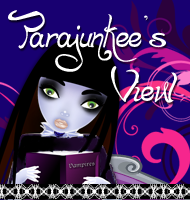 I like to play around with my ‘voice’, but I think people can see a common thread running through all of the books. Like physical exercise, now that I have deadlines and multiple projects, it’s getting easier. Falling into the flow is as simple as sitting down and tapping on the keys. I’m learning a lot working with my fantastic editor, Don D’Auria, as well as my agent, Louise Fury. They’ve helped me to tighten up my prose and make it more impactful. 4. I saw that you spoke at Spotlight on Success and made appearances at Horrorfind and Horrorhound. Can you tell us a little bit about these experiences? For Spotlight, I was part of a paranormal panel down in NYC. We had a live audience and it was being filmed as well. That was just a fun night where we got to talk about ghosts, my favorite subject. I was accompanied by Jack Campisi, my partner on our Monster Men podcast, as well as 2 guys who run paranormal groups and 2 psychics. We’ve kept in touch with the psychics and may all get together for an event of our own. Being a horror fan, I’ve been going to horror cons for years. So it was strange to be sitting on the other side of the table at Horrorfind and Horrorhoud. And when I say strange, I mean pinch-me-I’m-not-dreaming, holy-crap-this-is-amazing kind of strange. I got to meet new and old fans, saw some incredible costumes walk by and had some very close encounters with a handful of celebs. What’s not to like? 5. Why horror? What attracts you to the genre? I grew up watching horror. From B movies at drive-ins to Chiller Theatre on TV, I’ve been addicted since I was about five. I love the tension as you wait for the monster to pop out. I’m especially intrigued by the metamorphosis of characters as they unwittingly (or wittingly) fall prey to the impossible and plain awful. My first adult book I ever read was Stephen King’s Night Shift. I was hooked. As a teen in the 80’s, my passion for horror was aided and abetted by the tremendous horror boom in the publishing industry. That was also the decade of Jason, Freddie, Michael and a host of other horror classics. How could I not love horror? 6. I’m going to assume Halloween is your favorite holiday. What do you love about it? Well, each year I make sure that I spend every free moment in October immersed in horror novels, movies and activities. I actually save up books and movies during the year so I can dive right in on October 1st. Fall is also my favorite time of year, so there’s nothing about October that doesn’t elevate my soul. I love it when the air gets crisper, cleaner and the night creeps in sooner. On Halloween itself, I’ll dress up right alongside my kids, take them out trick or treating for a while, then pass the baton to my wife. I spend the rest of the night handing out candy to the neighborhood kids and jawing with the parents. I think we gave out candy and juice boxes to over 300 kids last year. It’s a neighborhood party! When I go home, I’ll catch some of the annual Ghost Hunters live show and a movie. A perfect ending to a perfect month. I’m midway through Hemingway’s Boat, by Paul Hendrickson. I’m a Hemingway fanatic, and surprisingly, I’m getting some new info from this latest biography. As writers, we all need a little Hemingway on our shoulders, barking at us to write true and concise and to rip out anything extraneous. And I know he’d be a hell of a drinking buddy. Hunter Shea is the author of the novels Forest of Shadows, Evil Eternal, Swamp Monster Massacre and the upcoming Sinister Entity. His stories have appeared in numerous magazines, including Dark Moon Digest, Morpheus Tales and the upcoming anthology, Shocklines : Fresh Voices in Terror. 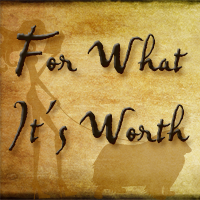 His obsession with all things horrific has led him to real life exploration of the paranormal, interviews with exorcists and other things that would keep most people awake with the lights on. He is also half of the Monster Men video podcast, a fun look at the world of horror. You can read about his latest travails and communicate with him at www.huntershea.com, on Twitter @HunterShea1, Facebook fan page at Hunter Shea or the Monster Men 13 channel on YouTube. 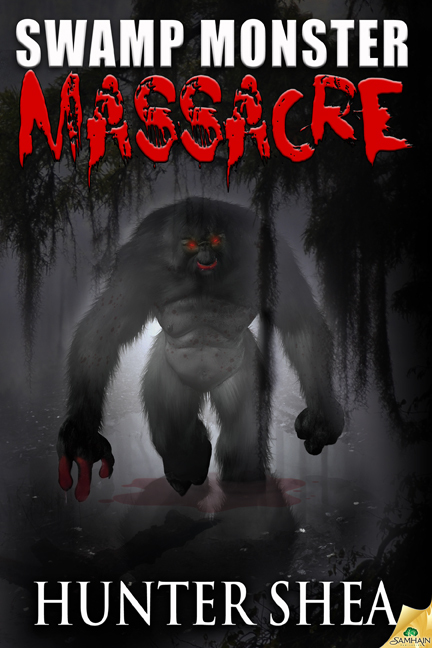 To order an e-copy of Swamp Monster Massacre click HERE. 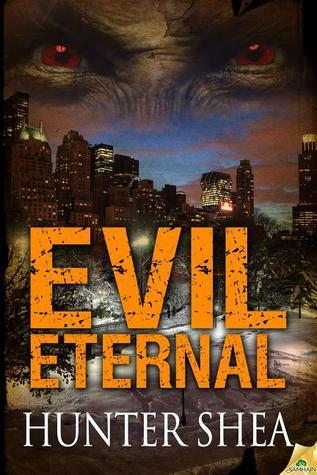 To order an e-copy of Evil Eternal click HERE. 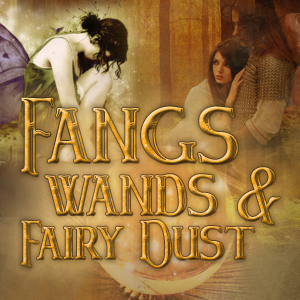 To order an e-copy of Forest of Shadows click HERE. ~Hunter is giving away one (1) e-copy of Evil Eternal. ~Contest ends on Saturday, October 22, 2012 at 12:01 a.m.
~The winner will be chosen by Rafflecopter.com. Labels: Dark Fiction, Haunter Shea, Horror. 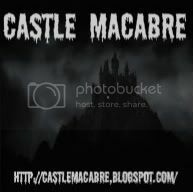 Love your books and Swamp Monster Massacre rocks!!! Great interview. 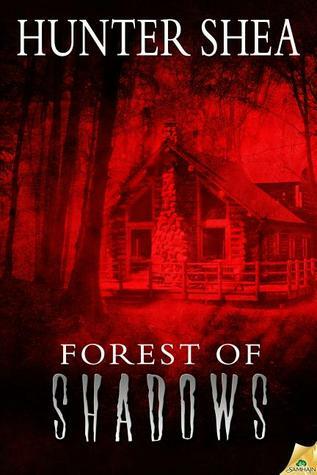 I loved Forest of Shadows, and it was a "subtle ghost story" until the climax... when all hell breaks loose. At that point, subtlety goes out the window. A good read with heart, soul and plenty of blood. Good interview! I haven't read anything by Hunter Shea yet, but I just got Swamp Monster Massacre and I can't wait to read it! Thanks for all the recommendations for Hunter's works. I'll have to them to the top of my reading list. I found the answer to number one really interesting (and helpful since Nano is coming up) and I love Halloween, too. It was fun reading about someone who loves October so much (but I don't trust people who don't love October).